This project was created on 04/06/2019 and last updated 5 hours ago. Manufactured in https://jlcpcb.com/ Manufacturing this type of board is not easy. Boards form JLC works without problems and additional payments. Input power 24V - 35V from 5V USB powered step up converter or notebook 19V power supply. Eagle have good script to make print induktor but, there is limit to only 100turns. i.e. it would switch at best at 1.3us period which is 770kHz. Thanks for advice, I measure this frequency with multimeter, It is close to original project. Which transistor you suggesting ? My schematic is same like on Chinese kits. Or is better use MOSFET+ driver ? 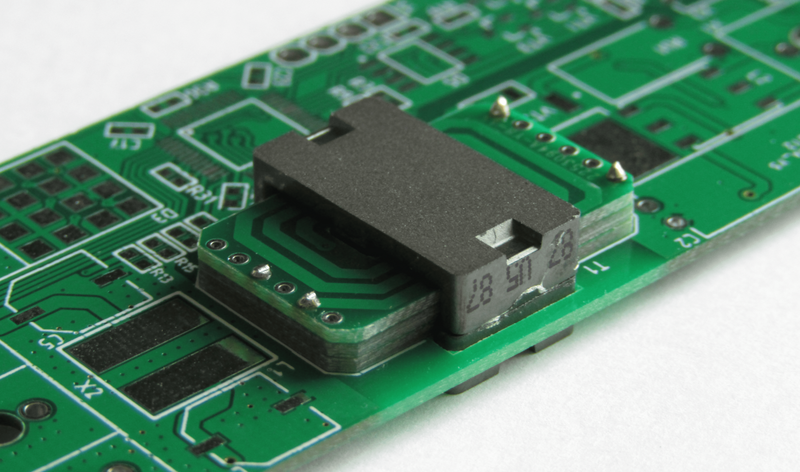 It is not easy to switch MOSFET at MHz range because MOSFET have huge input capacitance. Even a small device can have on order of 1nF. Rather than fighting the capacitance, people that make high frequency Tesla coils (HF-SSTC) use Class E drivers. As for BJT selections, use the parameter table at digikey or browse the BJT manufacturers device trees usually sorted by end applications. Higher current parts have lower hfe and are likely more difficult to drive. If the datasheet don&apos;t talk about input capacitance, Gain bandwidth, go else where. Thanks for explanation, I try another transistor. A teeny tiny treble booster guitar pedal, made with love and SMD technology. You are about to report the project "Open PCB Tesla coil", please tell us the reason.